On most of the guitar related websites and internet forums this negative topic on EMGs will come up sooner or later (on some of them it comes up pretty much monthly). Which one is your favorite? They are sterile – does that mean they are unable to produce little EMGs? They sound plastic – people who say this have at least seen EMG pickups closely, or they have even touched them. Yes, they are made of plastic on the outside. Can you hear sound with your eyes, grasshopper? 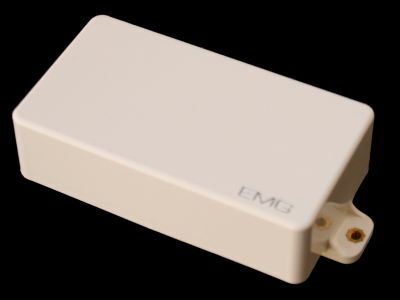 They are 70s technology – people who say this assume that EMG has never improved on their original design – so these incredibly smart people just turn around and go back to play their 40/50s technology passive pickups. EMGs are only good for metal – tell that to David Gilmour, Prince, Steve Winwood, Brian Ashley Jones, Vince Gill, Donald “Buck Dharma” Roeser or Jeff King… among others. Heck, tell that to me who rarely if ever played metal. They sound generic and one dimensional – pickups might sound different from each other, but how can anything sound generic if YOU play it? Maybe because your playing is generic. One dimensional? Uncover your other ear. Instant 3D sound, voilá! They sound compressed – it would be amazing to get a built-in compressor inside your pickup, but it’s not the case. Some pickups have lower resonance, so they have a mellower sound. Different frequency response doesn’t mean compression. Hint: the word you need to look up instead is “equalization”. Active EMG pickups are well designed, great tools, and as with any tool, it’s up to YOU how you use them, as part of your guitar equipment. Some of them sound pretty close to some older passive pickups, some of them are fairly unique. All that without the problem of changing your tone if you change the length of your guitar cable. They also won’t rust under your sweaty fingers, and the coil windings inside will never break. You’ll need one (or two) 9V batteries in your guitar that will last a very long time. The rest is up to you. ← Previous Previous post: Home recorded albums – did you know it has happened?